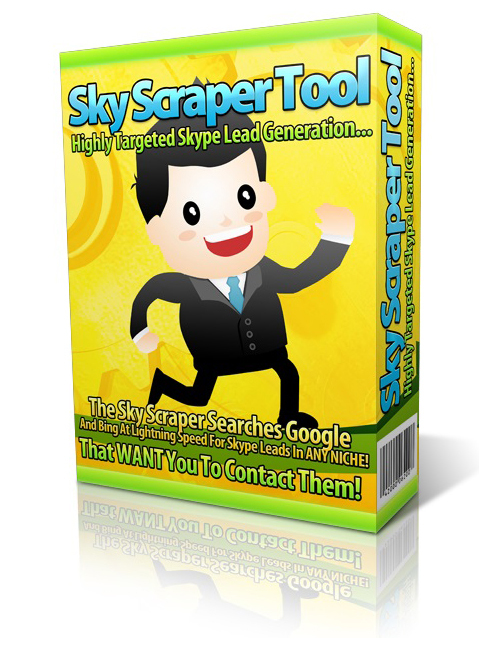 Sky Scraper Tool – Highly Targeted Skype Lead Generation is the perfect software application you want to drive your online recognition factor upwards in correlation with your HUGE sales! Skype is an awesome platform for easy access to top niche audiences that you are on the hunt for. When you tap into them the sky is the limit for the income source you can solidify with relative ease. But if you can’t find your target audience and draw them into your lair you don’t have a hope in hell of converting. And that’s where this fabulous software niche program takes over. Using Skype as the base this automated niche exploiter is going to find and nab your audience and deliver them straight to you to do with them whatever you wish. Hopefully it’s just selling them but who knows? Sky Scraper Tool – Highly Targeted Skype Lead Generation is a tool that will take you to the top of Money Mountain ASAP! Get it and win NOW!